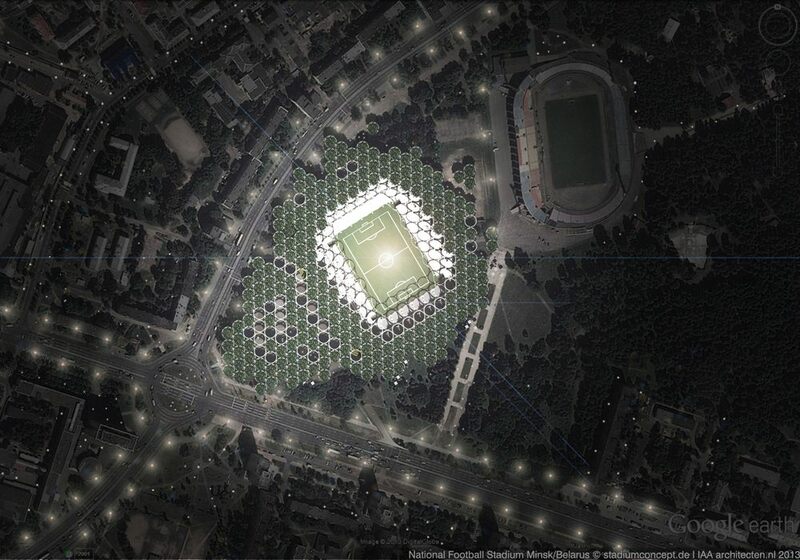 This bid for new national football stadium of Belarus was submitted by joint forces of stadiumconcept and IAA Architecten and is based on a very simple allusion to the site it was planned for. 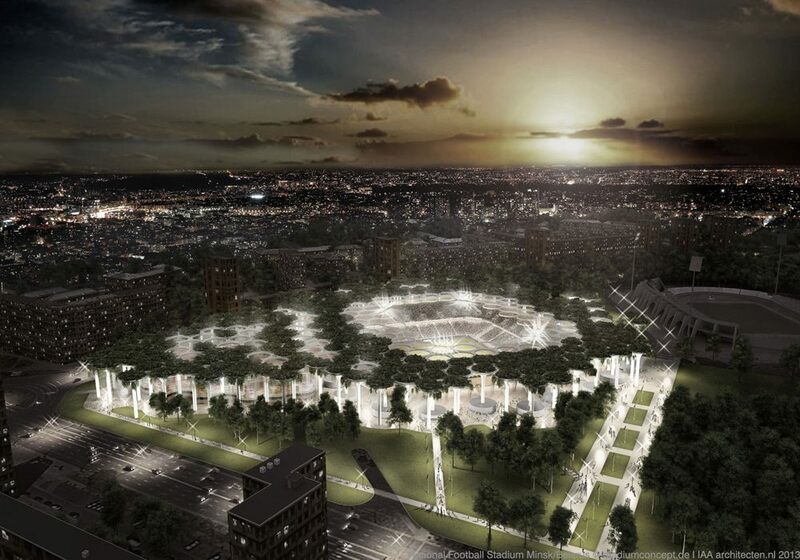 Located just 500 meters from the massive tractor factory and literally several meters from Stadion Traktor, the new stadium would be dominated by valves. 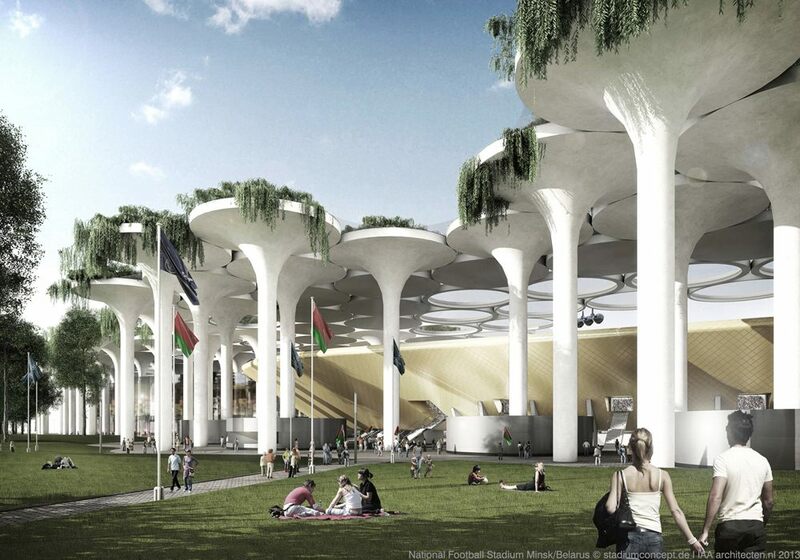 Columns resembling valves would create both support and the roof over both the stadium and shopping mall planned adjacent. 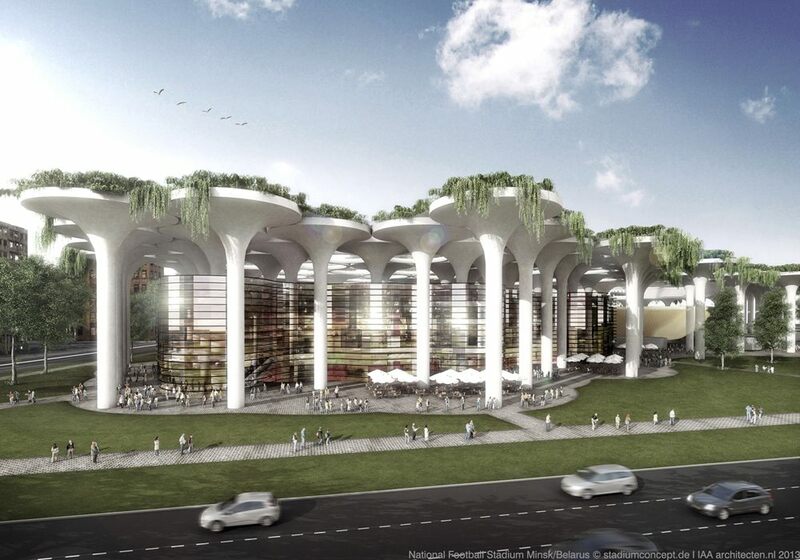 Parts of the cover would create large circular skylights, assuring that grass, fans and customers of the mall all have sufficient access of natural light. Additionally, each of the large valves would be covered with vegetation. 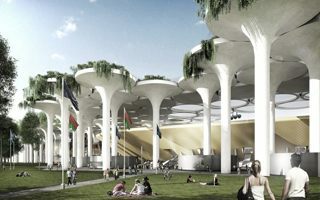 This would both be ecologic in terms of providing significant amount of plants, but also filtering rainwater, which would be collected by the roof. 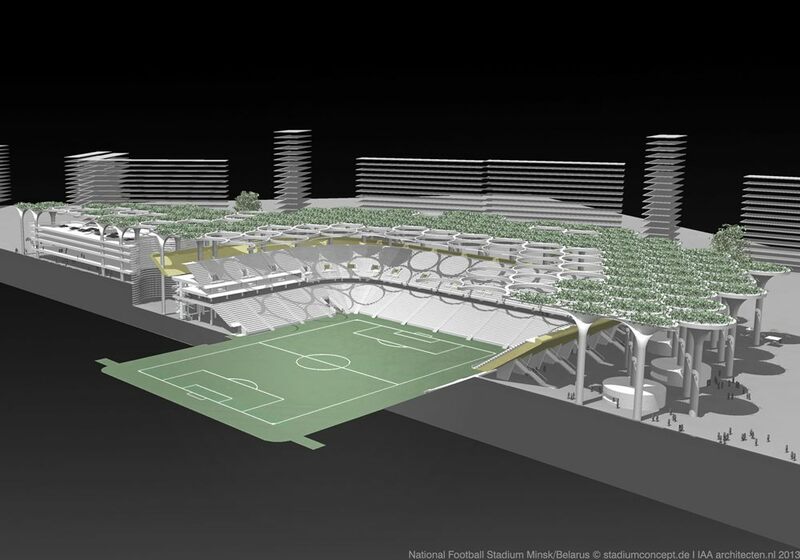 Also, the green ‘carpet’ would make the stadium blend seamlessly with the vast public park that begins around both stadiums. The vision was eventually not selected for construction. 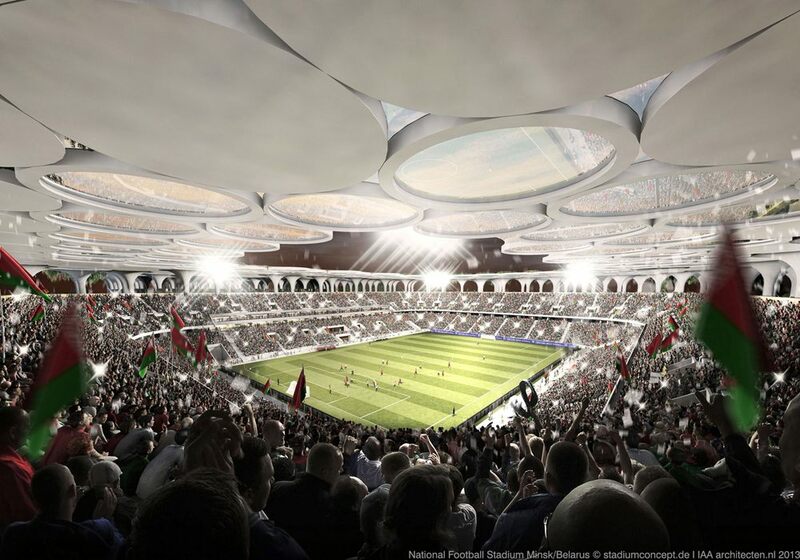 25.08.2014 New design: Stadium made of tractor valves? This is a unique tribute to the Belarusian tractor industry. German-Dutch-Belarusian team of architects based their entire concept on the idea of engine valves. Quite literally.